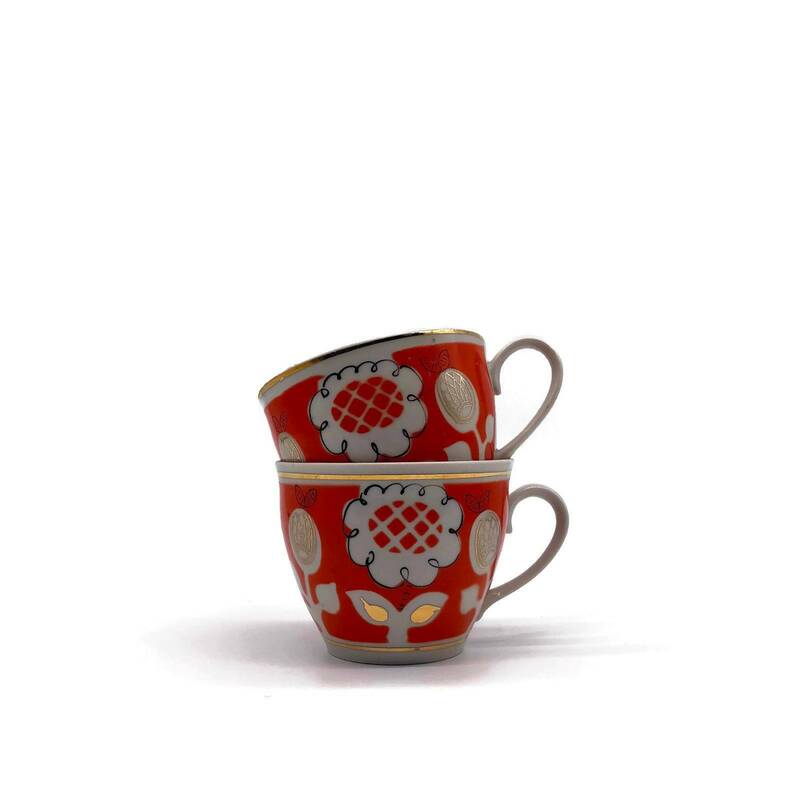 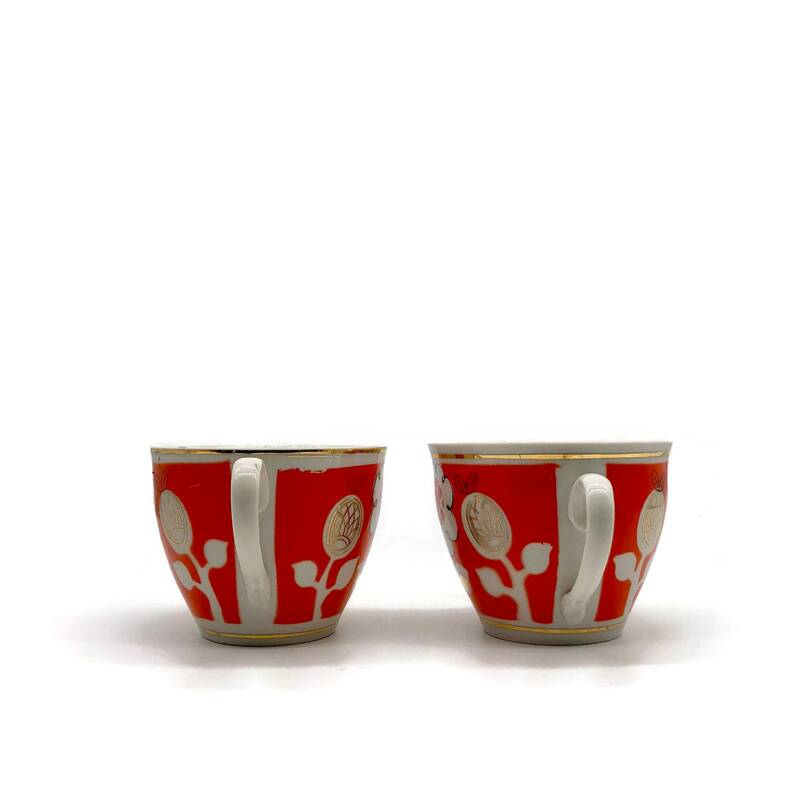 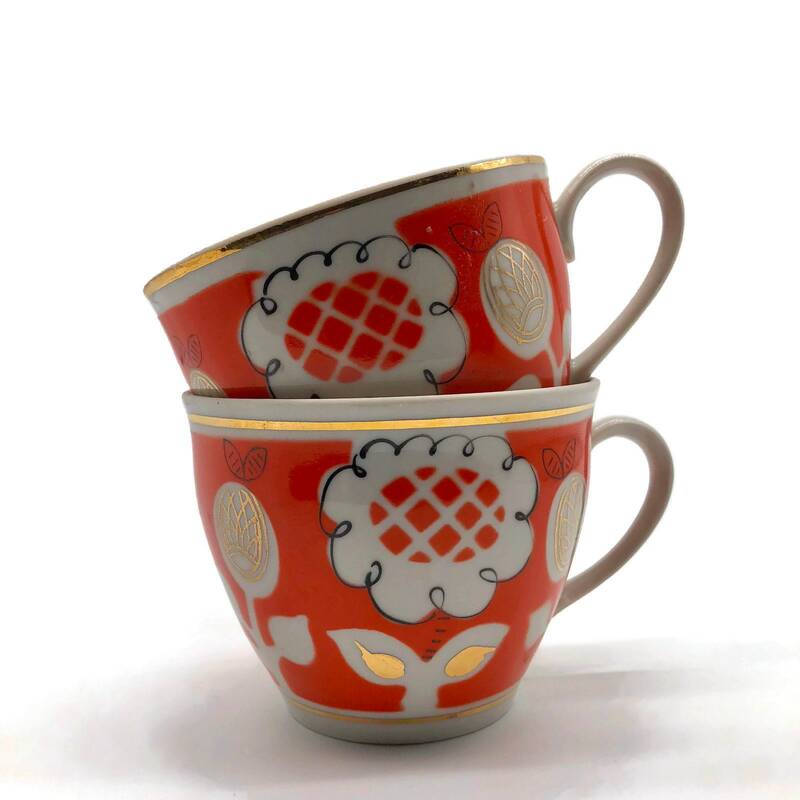 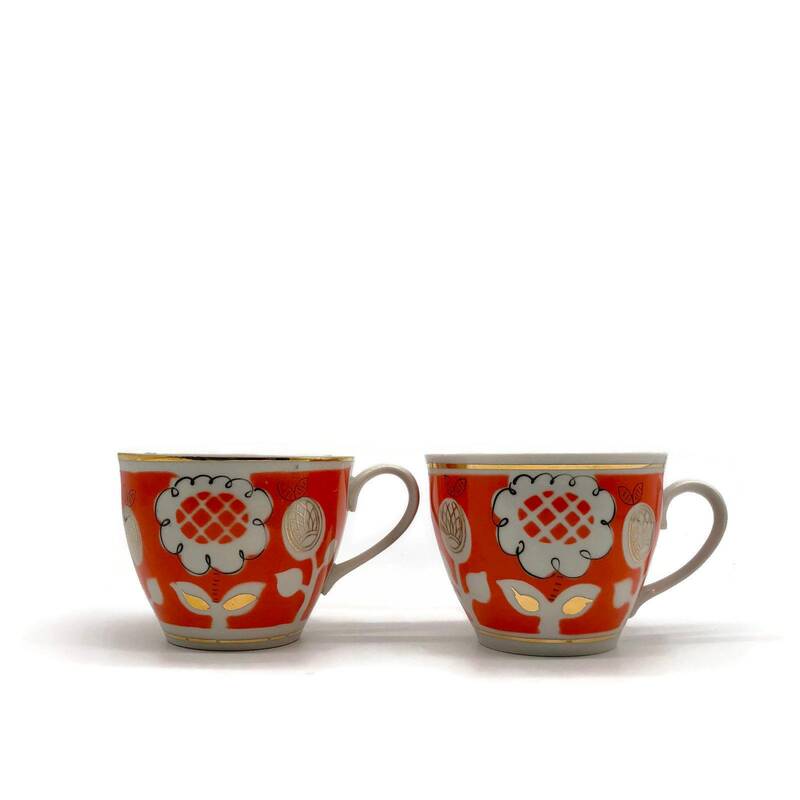 This pair of Japanese tea cups is the coolest - bright orange modern florals with gold detailing. 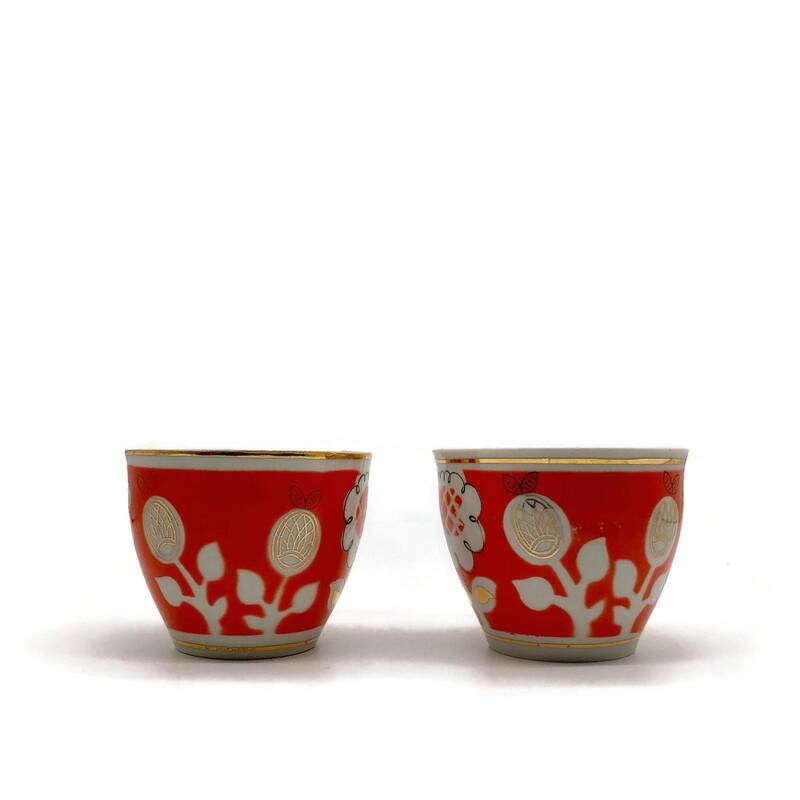 No chips or cracks but some wearing away of the gold detailing. 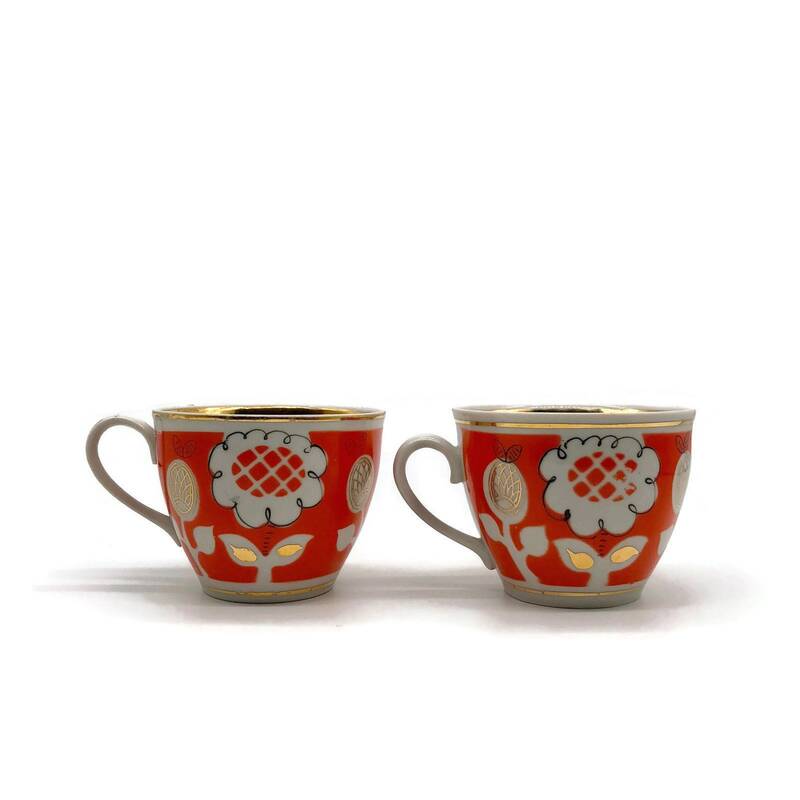 A great pop of color wherever they land! 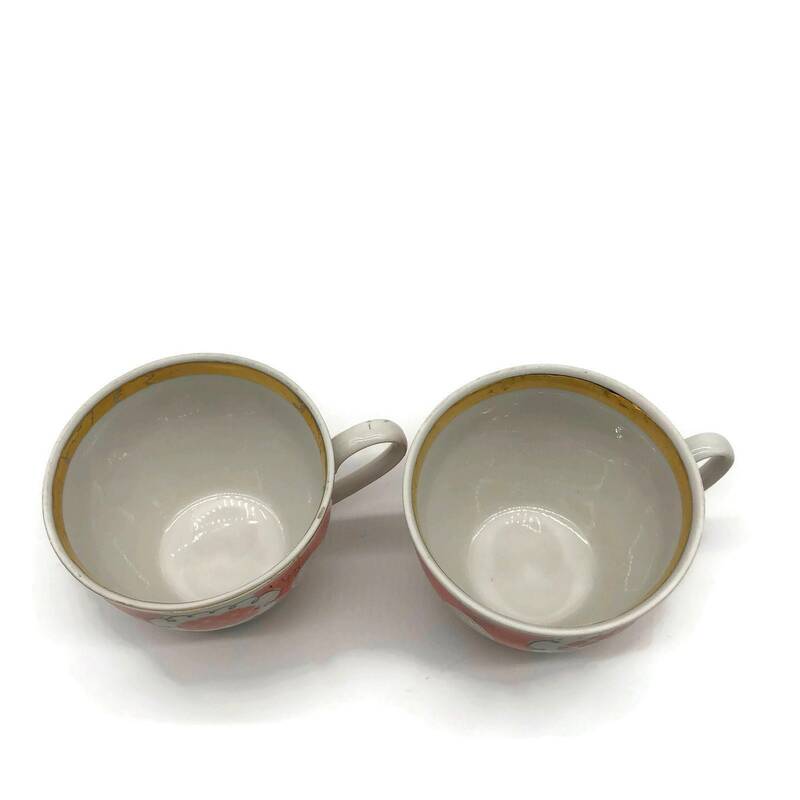 + Combined weight is 6 oz.